Q. How does mastering differ for vinyl and digital releases? Obviously a vinyl record is a different thing from a CD or a WAV file, but does it require a separate, dedicated master, or are the two formats basically made from the same mastered file? 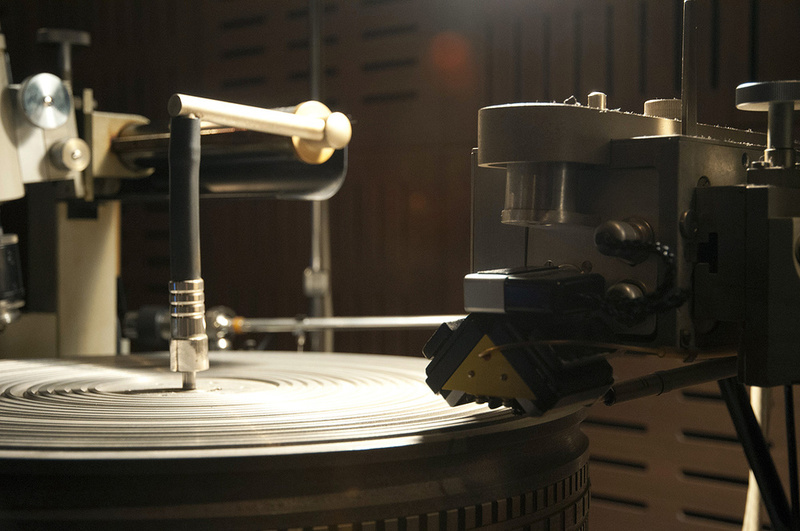 SOS contributor Eric James replies: This is a timely question — mastering for vinyl has recently gone from being a specialised rarity to a common extra that clients ask for in addition to the digital master. And it usually is that way around: a digital main release (CD or download) with a vinyl version, perhaps for a shorter run, for sale at gigs, and sometimes as part of a marketing plan. The proportion of projects that are primarily for vinyl release, secondarily digital, is very much less. I mention this because the format of the primary offering can sometimes make a difference. The short answer to the question though is yes, sort of: separate masters are required for CD replication or digital distribution and vinyl records. However, in the majority of cases the mastering processing can be the same for both, as the crucial differences between them are practical (ie. the level and extent of limiting, the word length, and the sequencing of the files). A digital master for CD has to have a 16-bit word length, and it can be as loud and as limited as the client’s taste or insecurity dictates; with the vinyl master there is a physical limit to what can be fed to the cutting head of the lathe, and so heavily clipped masters are not welcome and can only be accommodated, if at all, by serious level reduction. For vinyl, the optimum source is 24-bit, dynamic, and limited either extremely lightly or not at all. The sequencing difference is that delivery from mastering for digital is either individual WAV files for download or a single DDPi file for CD replication, whereas for vinyl the delivery is generally two WAV files, one for each side of the record. 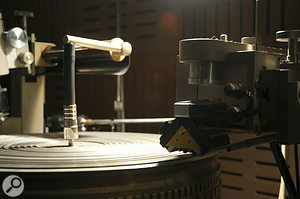 For the most part, the mastering process for vinyl and digital formats can be the same — and any guesswork around things like the stereo spread of bass frequencies is probably best left for the cutting engineer.Photo: JacoTen / Wikimedia CommonsThis is how it generally works at my own, pretty typical, facility. We run the mastering processing through the analogue chain, gain-staging so that the final capture is a louder but, as yet, unlimited version of the master. To this we can subsequently add level and required limiting. In the simplest scenario, then, this as-yet unlimited version can serve as the vinyl master, and a different version, which has had gain added, becomes the digital master. This works best when the primary focus is the vinyl, as the louder digital version benefits from the preserved dynamics in the vinyl master. Things can get more tricky if the primary focus is the digital master, and especially when that is required to be fairly loud. You can’t simply take an unlimited file and add 4 or 6 dB of limiting without sonic consequences, and so for loud CD masters, we normally add another step of gain-staging and include some light limiting during the initial processing run, the result being a louder master to begin with for the second stage of adding gain. This is not always the way the issue is presented: there is sometimes talk of different EQ settings and the use of elliptical filters and whatnot. The fact is, though, that the EQ considerations offered as being necessary for vinyl are pretty much a desiderata for most decent digital masters too. For example, extreme sibilance, often mentioned, certainly is a problem for vinyl, but then it’s hardly desirable for CD playback either. Another myth is the ‘bass width’. I’ve been told by alleged label experts that (and here I quote) “vinyl masters need to be mono in low frequencies, and the low end, like 80-200 [Hz], almost mono.” If this were true, it would make you wonder how classic orchestral recordings (which have the double basses well off-centre to the far right) ever managed to get cut to vinyl! The fact is that wildly out-of-phase and excessive bass can be problematic, and if it’s present in a mix, a certain amount of taming will be needed in the mastering stage. But even then, if the master is going to a reputable cutter it is best to leave that decision to them.